Evolution of dental informatics as a major research tool in oral pathology, Sasidhar Singaraju, H. Prasad, and Medhini Singaraju, Journal of Oral and Maxillofacial Pathology, 16(1), Jan-Apr, 2012, pp. 83-87. Definition of Bioinformatics as defined in Whitepaper Associates - A Technology Writers' Cooperative.
" Evolution of dental informatics as a major research tool in oral pathology", Sasidhar Singaraju, H. Prasad, and Medhini Singaraju, Journal of Oral and Maxillofacial Pathology, 16(1), Jan-Apr, 2012, pp. 83-87. "Bioinformatics in Communicable Diseases - The way forward", by Hwa A. Lim, Asia Pacific Biotech, 14(11), 2010. "Methods for Incorporating Biological Information, into the Statistical Analysis of Gene Expression Microarray Data", by Debbie Leader, The University of Auckland, New Zealand, December, 2009. 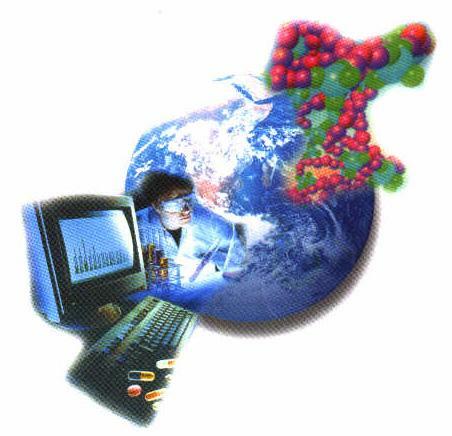 Bioinformatics articles by HAL, USA. Systems Biology for Drug Discovery by Lien Chung, GeneGo, San Deigo, California, USA, 2004. Computational genomics by Prof. Benny Chor, Tel-Aviv University, Israel. Bioinformatics by Evelin Kozma, Computer and Information Sciences, University of Strathclyde, Glasgow, UK. Bioinformatics by Dr. Craig Struble and Dr. Michael Thomas, Bioinformatics Research Center, Medical College of Wisconsin, USA. Nanotechnology: Development, business and prospects by Dr. Hwa A. Lim, San Jose, California, USA. The true cost of software ownership, by David Sugar, NewsForce - the online newspaper for Linux and open source. Evolution of workflow management systems, by Krasimira P. Stoilova, and Todor A. Stoilov, Bulgarian Academy of Sciences, Sofia, Bulgaria. The PDTIS Bioinformatics platform - from sequence to function, by Thomas Dan Otto, and Marcos Catanho, RECIIS, 1(2), Sup. 1, 2007. The Tmod - Toolbox for Motif Discovery, by Hanchang Sun, Hongwei Xie, and Jun S. Liu. SNP - Single Nucleotide Polymorphism Consortium. ADP - Arabidopsis (plant) Project. DNA and Protein Databases, Genomics..., Version 110, February 2009. GO - Gene Ontology Consortium. GoMiner - a tool for biological interpretation of "omics" data. HUPO - Human Proteome Organisation. HPRD - Human Protein Reference Database. PSIdev - Proteomics Standards Initiative. PSI - Protein Structure Initiative. CGAP - Cancer Genome Anatomy Project. ExPASy - Expert Protein Analysis System. BIND - Biomolecular Interaction Resource. Pfam - multiple sequence alignments. BioRag - a bioresource for array genes. BioPerl - Perl modules for managing life science information. BioMOBY - an open source biological web service. MyGrid - a collaborative and supportive environment for e-scientists. "Abmetrix, Inc.", Union City, California, USA.